India has always been the land of rich culture and heritage. When talking about Indian history, the first thing that comes in our minds is the Indian struggle for freedom. So, basically India is a nation with a profound base of arts and tough people. But in this article, we will leave behind the Indian struggle for freedom and talk about the glorious history of Arts and Culture in India. Though the advent of arts in India dates back to the pre historic times when carvings were done on the rocks and caves, during the vedic times, but the most important period for arts in India began with the era of Mughal Rulers in India. The Mughals were fond of Persian paintings and architecture. The courts of the Kings were adorned with these miniature Persian paintings. These paintings were a peculiar blend of the Persian and the Indian paintings. 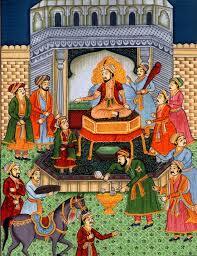 During the reign of Akbar, arts and culture were at its peak in India. 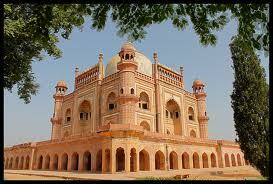 It was during his times, did India witness the actual beauty of arts. Artists like Gowardhan, Basawan were very famous painters during those times. Portraits of Akbar, Jahangir, A Mughal Woman, Nur Jahan and scenes from the courts are some of the famous works of those times. The architectural wonders of those times are the Taj Mahal, Agra Fort, Mughal Gardens, Jama Masjid and the fort city of Fatehpur Sikri to name a few. They had a different style of architecture, which could never be recreated anywhere throughout the world. The era of Mughals saw the celebrated period of arts in India, but later, after the Mughals were dethroned and soon the English took over India, it was then the Indian realized that they need their own style and something which was India’s originality. This was the period when writers emerged from every corner of the country, with tales from the freedom struggle of India to tell. Books by famous freedom fighters like Mahatma Gandhi, Jawaharlal Nehru, Subhash Chandra Bose became the voice to reach the common people against the British rule. 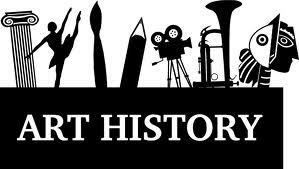 Hind Swaraj, Discovery of India, etc were some of the popular books of those times. An art is a blend of music, painting, literature, dance, language, architecture and cinema. 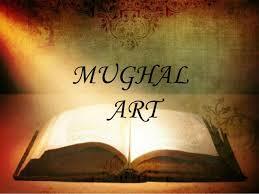 Many religious texts and paintings are also an important part of the Indian art and culture. The music is India has seen a tremendous change. From pure Hindustani classical music to rock and hip hop, India has had a wide range of talented musicians. Same is the state of Dance, from various regional dancing styles to b-boying and western dance, India has always welcomed changes in its art forms. The Indian cinema recently witnessed it 100 years and in these 10 decades, the change in the content, the artwork, the perception of cinema by audience, etc has completely changed. People are now welcoming more of sensible cinema than the cliché bollywood movies. Arts is a wide subject and with the changing time, the art and the culture also has to change but its roots are always the same.